"The Abarbanel, Beaujolais Villages, Château de Pougelon, Batch 90, Old Vines, 2018 ($16-17): Bright crimson with a lustrous deep purple highlights, this delightful wine offers appealing outdoorsy aromas of flowers and red and black summer fruits, leading to yummy flavors of raspberries, blackcurrants, blackberries, cherries, subtle blanched almonds, a little violet, and all with a light strawberry overlay. Well-balanced with nice acidity and mild tannins, this can play down as a simple but oh-so-pleasurable quaffer to accompany light meals, picnics, or a pre-dinner cocktail hour, but can just as easily play up to hearty meat meals with just enough felicitous complexity to hold the attention. This is a lovely Beaujolais Villages!" 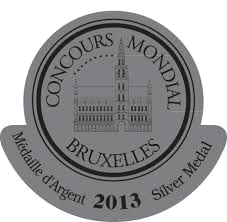 SILVER MEDAL "Best Buy "
Rich ruby color. Aromas of strawberry compote, chocolate covered cherries follow through on a soft, round entry to a dryish medium body with tangy spiced apple, raspberry, and orange notes. Finishes with a powdery tannin fade with a touch of nutskin and spice. Ruby purple color. Bright jammy blackberry and currant aromas follow through to a bright, lively entry leads and a fruity, lightly tannic light-to-medium body with a crisp, zippy citrus and peach marmalade accented fade. A crisp, taut, refreshing red to sip or serve with turkey dishes. "Kosher Dark cherry red and purple color. Bright black cherry, mineral, and spice aromas. A round entry leads to a dry light-to medium-bodied palate with tart black cherry and strawberry skin and flinty mineral flavors. Finishes with a quick tart mineral fade. Pair with sirloin burgers." "Sweet strawberry and red cherry flavors, with a dash of spice on the finish. Drink now." "Made, as are all of the wines in this area from Gamay grapes, the wine is light ruby red in color and so light in body that you might think it was going to float away. Despite that, lively, fruity and easy to drink, especially when served lightly chilled." "Abarbanel, Batch 22, Unfiltered Cabernet Sauvignon, Pays d'Oc, 2015 ($14; mevushal): This is an inviting, food friendly light-to-medium bodied cab, sourced from the Les Dolmens Rouges, a single vineyard near Ouveillan in the Aude River Valley (Languedoc); offering clean currant, dark berry, and herbal notes, with slightly rustic tannins, this is a simple yet very engaging quaffer, and a solid choice for a basic red." "Ruby black color. Roasted aromas and flavors of char-roasted nuts, espresso, and cocoa with a supple, crisp, dry-yet-fruity light-to-medium body and a smooth, brisk grilled cherries and apples and bark finish with crunchy, firm tannins and moderate oak. A crisp, oaky cabernet quaffer." "A very pleasant country style red, medium-bodied with somewhat chunky tannins that come together nicely with berry and currant fruits, an appealing light hint of bitterness and a medium-long finish. Drink now-2006.”(Tasted 22 Sep, 2004)"
"Firm and fruity, with bright plum and red cherry flavors, some herbal touches and coffee notes on the finish." "Everything a Cabernet Sauvignon ought to be. An 'excellent' full (or heavy) bodied dry wine with little or a 'slightly spicy' nose. One panelist considered it 'the best of them all;' another 'pretty smooth.' The best of show." "Saturated dark purple hue. Ripe plummy, cassis aromas. Firm on the attack, with a moderately full body and rich, fruity flavors with dense, highly extracted tannins that make this tough through the finish. This will need meaty food." Options for Cup 3: "The Abarbanel, 25th Anniversary, Special Reserve, Rouge, 2016 ($17-$20): Value-priced, light-to-medium-bodied, and light in tannins, this is an all-around inviting and enjoyable single vineyard blend of cabernet sauvignon (65%) and merlot (35%) from the Aude River Valley in the South of France. This is easy drinking and food-friendly, offering aromas and flavors of cherry, plum, and cassis with some subtle herbs and light tobacco, and perhaps a whiff of coffee.. Let it breathe in the glass a little first." "Finally, for those seeking a budget-friendly quaffer to quench thirsts and accompany the proceedings nicely, consider the newly released The Abarbanel, 25th Anniversary, Special Reserve, Rouge, 2016 ($20; currently available for $17 at kosherwine.com): Value-priced, light-to-medium bodied, and light in tannins, this is an all-around inviting and enjoyable single vineyard blend of Cabernet Sauvignon (65%) and Merlot (35%) from the Aude River Valley in the South of France. This is easy drinking and food friendly—though let it breath in the glass a little first; offering aromas and flavors of cherry, plum, and cassis with some subtle herbs and light tobacco, and perhaps a whiff of coffee. L’Chaim!" "The Abarbanel, Les Chemins de Favarelle, Batch 30, Chardonnay, Unoaked (Pays d’Oc, IGP, France), 2016 ($15; mevushal): Sourced once again from a single vineyard in the Aude River Valley of the Languedoc in southwest France, this latest vintage is fresh, clean, and inviting with notes of citrus and stone fruits, a little spice, and nice balancing acidity. 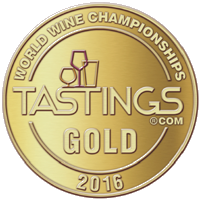 From year to year, this represents consistently great value." Please note that of all the Chards reviewed, we are the most popularly-priced and affordable by a wide margin. Scores high on the price/value ratio. "Light gold color. Aromas and flavors of bubble gum dust, green apple, pineapple gravel, and dried canvas with an tangy, dry medium-full body and an interesting, brisk finish with cottony, earthy tannins and a suggestion of oak. A better than average quality example." "Abarbanel, Batch 30, Unoaked Chardonnay, Pas d'Oc, 2015 ($14; mevushal): an enjoyable, straightforward, chardonnay sourced from the Les Chemins de Favarelle single vineyard in the Aude River Valley of the Languedoc, with clean and inviting notes of citrus and pear, some lovely spice, nice balancing acidity, and an agreeably creamy mouth-feel. Refreshing." 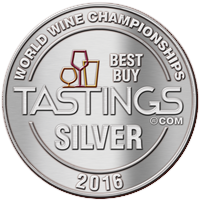 Ranked #3 of 10 Best Kosher Wine Values in America! 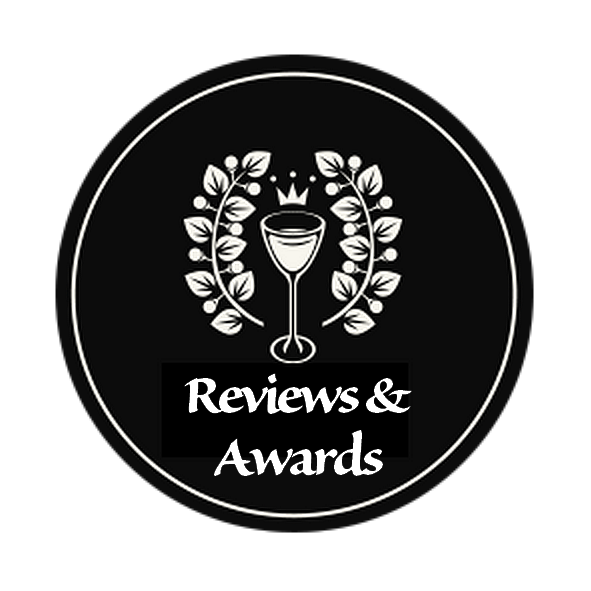 "Abarbanel, Batch 30, Unoaked Chardonnay 2013 ($14): Uncomplicated with clean and inviting notes of melon, citrus, apple, pear and light clover honey, with just enough balancing acidity to keep it all genuinely refreshing to drink." A rise in the grape varietal’s popularity in the 1980’s led to increased production without a concomitant attention to quality. The result was an ocean of over-oaked, flabby and out-of-balance Chardonnay wine that rarely displayed any character or charm. Oak can be used to hide a lot of faults, especially lazy winemaking and poor viticulture. Chardonnay remains popular, but there has been a steady movement toward lighter, less oaky white wines like Pinot Grigio. Thankfully there are still many winemakers and growers out there who treat Chardonnay with some respect, and allow this grape to really shine. For an enjoyable and food friendly example, consider the mevushal Abarbanel, Batch 30, Unoaked Chardonnay 2013 ($14), from the Les Chemins de Favarelle single vineyard in the Aude River Valley in southwest France. The Abarbanel Chardonnay is uncomplicated with clean and inviting notes of melon, citrus, apple, pear and light clover honey, with just enough balancing acidity to keep it all genuinely refreshing to drink. It’s a lovely little quaffer." "Exceptional. Straw green color. Fruity, floral, earthy aromas and flavors of lychee, honeysuckle and geranium patch, and clementine with a supple, tangy, fruity medium body and a smooth, captivating, medium-long apple and pear and hint of potpourri finish with fine, dusty, fruit tannins and no oak. A crisp, lightly floral and earthy gewurztraminer that pair nicely." 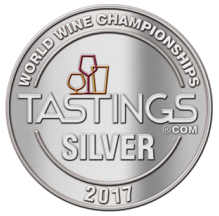 "Abarbanel Lemminade Gewurztraminer ’15 is the #2 Rated Gewurztraminer in the America according to Tastings.com/World Wine Championships!" "Abarbanel, Lemminade, Gewurztraminer, Vin D'alsace, Old-Vine, 2015 ($23; non-mevushal): this is a beautiful, bright, vibrant, somewhat rounded yet refreshing and very slightly sweet Gewurtz with tingly acidity, and wonderful aromas and flavors of white peach, lychee, and wild flowers, with notes of ginger and cloves. Serve only slightly chilled with poultry, Asian cuisine, Cajun cooking." "This is a fantastic example of an Alsatian style Gewurztraminer with an intense nose of ginger and spice, and lingering cloves and incense on the finish. Well-balanced with a round, rich mouthfeel, this wine is a true delight." "Yellow straw color. Lychee, beeswax, and floral peach jam aromas. A round, supple entry leads to a dry-yet-fruity medium-to-full body of ripe nectarine, wet sandalwood, and pistachio oil flavors with a crisp, yet round chalk accented fade. Nicely style for the table; serve with mild Asian cuisine or muenster cheese or a sipper." "Kosher Pale golden yellow straw color. Fresh lychee and peach aromas. A round entry leads to a dryish, lightly glycerous medium-bodied palate with tangy stone fruit and delicate allspice flavors. Finishes with a breezy fruity fade. A nice quaffer or serve with mildly spicy foods." "Restrained, this white shows grapefruit and litchi flavors matched to a firm, lean structure, yet it's balanced and harmonious. Good lingering finish. Kosher. Drink now." "Intense aromas and flavors of pear, with a hint of banana. Not typical for the variety, yet it’s an attractive white, soft and inviting. Drink now." "Pale yellow in color, this Gewurz has aromas of ripe apple, Asian pear and cantaloupe complemented by flavors of fresh peach and light ginger spice. A round, somewhat fat mouthfeel followed by a crisp and peppery finish closes the wine nicely." and a mineral chalky finish"
Our Riesling 2015 was mentioned as one of the top 14 kosher wines for Passover by Town & Country magazine. 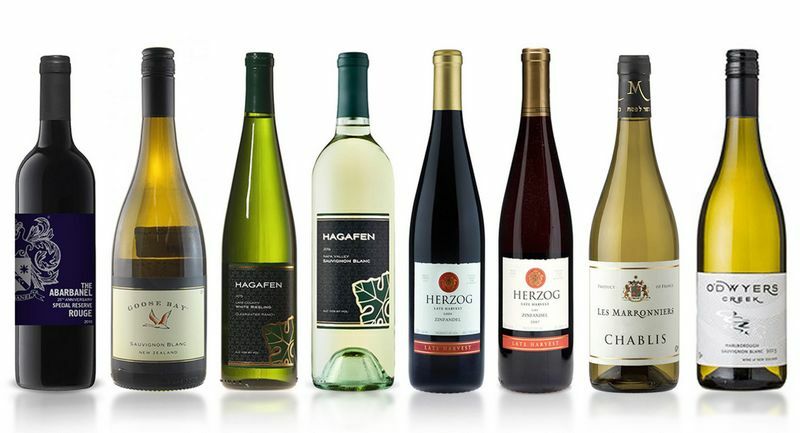 Of the 14 only about half were kosher, so it says a lot that our wine made the cut and was part of these recommendations. "The quality of French wine is at an all-time high. Take for example my favorite white grape, Riesling. There are not one, but TWO kosher French Rieslings available - Abarbanel and Koenig. The Abarbanel is an old vine Alsatian dry Riesling that is currently listed on kosherwine.com for only $17.99. That is a steal for a wine that is earthy, dry, acidic, crisp, and all the good qualities of an Alsatian Riesling… it is a great wine and an honor that we get to sell it. Even last night I brought it to a Chanukah party and amongst five or six other more expensive bottles it was the hit of the night." "A lovely wine, very surprising with great acid and elegance. The nose is classic with petrol and good spice. The mouth is weighty, with honeysuckle, peach, honey notes, followed by good fruit focus, elegance, and pith. Drink UP!" This lovely if slightly restrained wine offers classic citrus-flint and floral aromatics followed on the palate with the fresh, racy tang of citrus, spice, and herbs, with enough of the acidity and nerve one associates with Alsace to keep it vivacious, and food friendly. Mevushal." "A piercing floral and mineral scent segues into peach and ripe apple in this elegant and dry white. It's not that complex, just pure and balanced. Good lingering finish. "Round and expressive, showing peach, apple and mineral flavors on a firm backbone of acidity. It's dry and tight on the finish, but should go well with food. Kosher. Best from 2002 through 2003." "True Alsatian Riesling: dry, peppery and earthy, with real backbone. Very easy to drink and great with all kinds of food. Anyone who thinks of Riesling as sweet, simple and wimpy should taste this." "The one kosher Alsatian Riesling available in the United States is Abarbanel, a dry, bright-straw colored, medium-bodied wine with a lovely bouquet of oranges, limes, mangoes and honey, and a fruity flavor of lemons and grapefruit, with a hint of minerals. Abarbanel Riesling is well balanced... and compliments many foods." 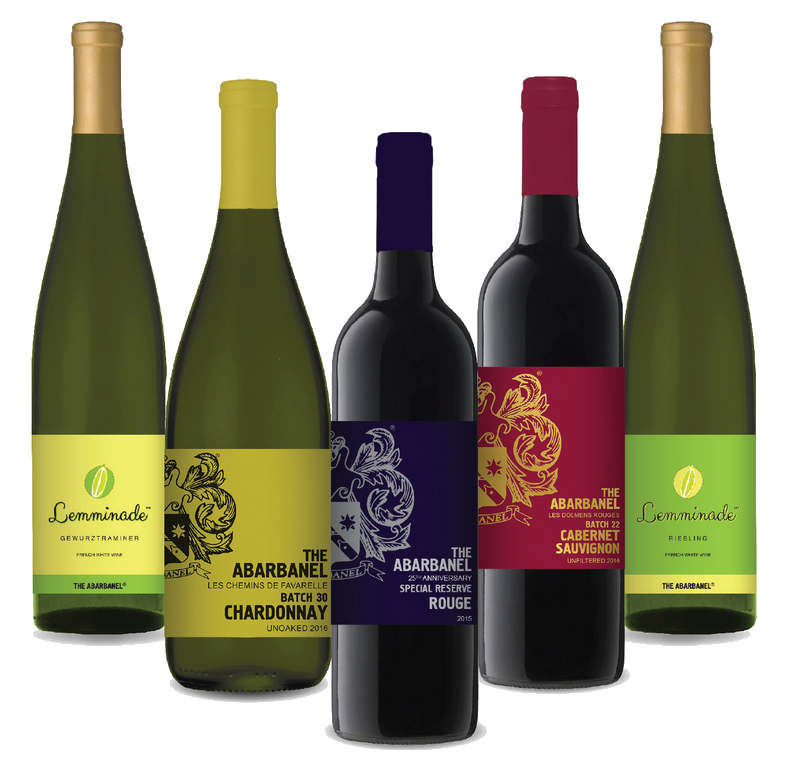 "This estate bottled wine has lovely aromas of apples and citrus blossoms. The well balanced texture has dry, crisp flavors of apples, oranges and peaches. Wonderful acidity and concentration typical of fine wines from Alsace." "The Abarbanel Vin d'Alsace Riesling 1999 Estate Bottled is floral and fruity, with hints of dried apricot on the palate and green apple on the finish. A perfect choice to accompany spicy food." "Light straw color. Aromas of marshmallow, brioche, preserved lemon, and jasmine and orange blossom with a satiny, lively, dry light-to medium body and an interesting, medium-length almond skins, slate and quartz, micro greens, and distant gooseberry finish with silky tannins. A bracingly dry and minerally Riesling with great weight and cheery acidity."